I recently purchased Motherhood May Cause Drowsiness: Mom Stories from theTrenches, Lisa Nolan's mom lit parent humor anthology with forty contributing mom bloggers. Motherhood May Cause Drowsiness is very funny and poignant while describing the experiences of the sleep deprived mothers who contributed the chapters. Any young parents needing some comedic relief about their situations would feel less alone and more understood by reading this book. I've already sent it to a young mom who I know will enjoy the writing. The writers are all very talented and many have written other books and/or blogs. They are introduced at the end of the book with links for future reading and enjoyment. I smiled for days remembering some of the lines in the book such as, "I hear a doggy barking!" spoken by a child trying to delay bedtime. The teacher mom I could so relate with, as both jobs can be exhausting. There are poems and stories, and it is the perfect bed stand book to help parents fall asleep with a smile. Because it is written by many contributors, reading short sections at a time is fine. I won't say why, but you might like to read Lisa's chapter first. I'm sure you will want to share the funny stories with your friends and relatives. So one thing sleep deprived mothers really need is for their children to actually sleep. This means some clever parenting needs to be employed to create situations where this happens. Routines are helpful, and it seems they need constant updating to the next level. Routine 1.0 has to be updated to 2.0 and so on as the children grow. This keeps parents on their toes, when they can stand up and aren't falling asleep. I suggest before mentioning bedtime, first begin turning off some lights and dimming lights to give a nonverbal awareness it is nighttime. Then, a routine is required. Perhaps say goodnight to the moon if it is out, and to objects in the rooms (goodnight plant, goodnight toys). Carry the child around the room during this transition time to help them be calm. Speak with a soft night time voice and if anyone is watching TV, that person should turn down the volume. Your child can help determine and lead the bedtime routine, so follow the child while establishing the procedure. 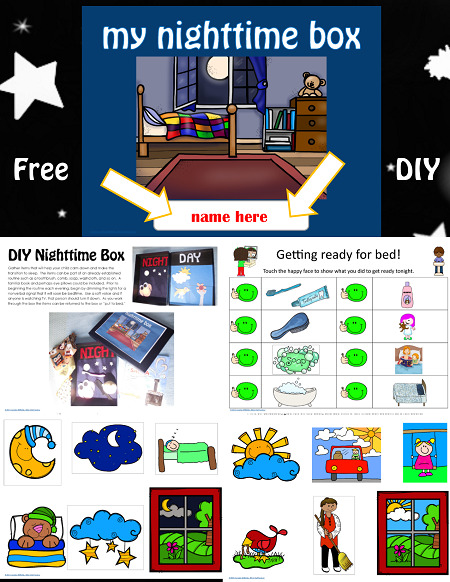 Present the DIY bedtime box after the child realizes it is time to go to bed. The inside lid of my box has the word day, which can be turned over to show day is done. 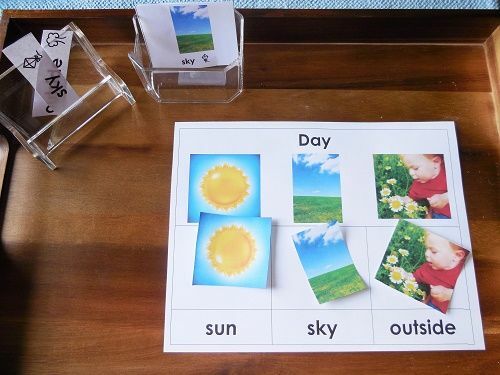 It is also a flannel board as some of the items are flannel and can be manipulated by the child. 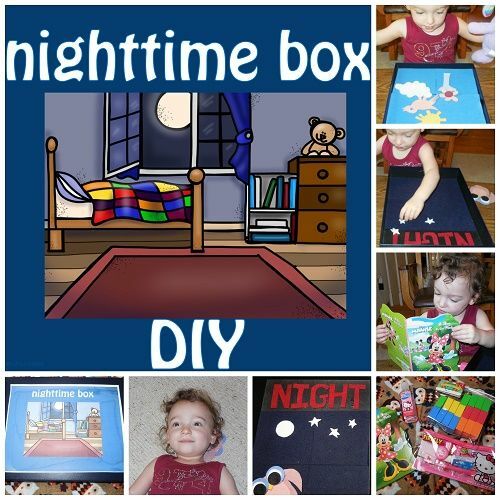 The box could have an appropriate book for nighttime, a tooth brush, a comb, a soft stuffed animal, and items you think will help your child. The items can be returned to the box and daytime could be put to bed. 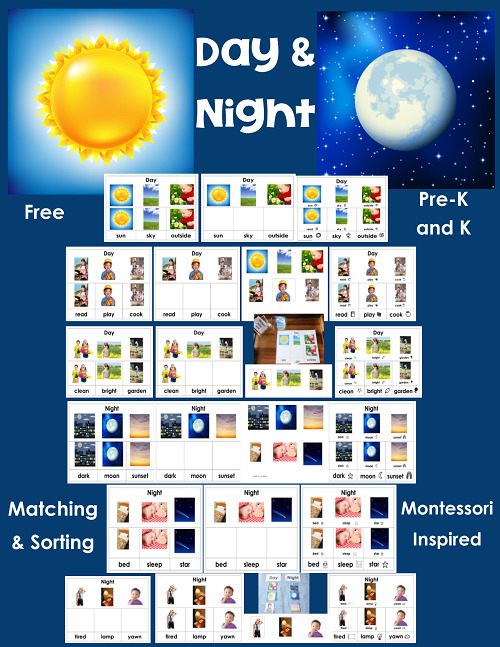 Time to sleep, hopefully for child and parent! Carolyn Wilhelm has a BS in Elementary Education, an MS in Special Studies of Gifted Children, and an MA in Curriculum and Instruction K-12. She was a National Board Certified Teacher 2004-2014. She has taught grades one, two, three, four, and five, as well as gifted education. Books in her classroom had distinguished lives as the stories and authors mentored and guided student and teacher work in reading, writing, performing, and illustrating writers' work. 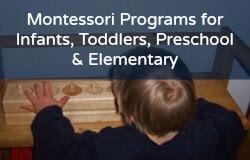 Looking for affordable Montessori? Visit Montessori for the Earth! Don't miss the next podcast episode or blog post! 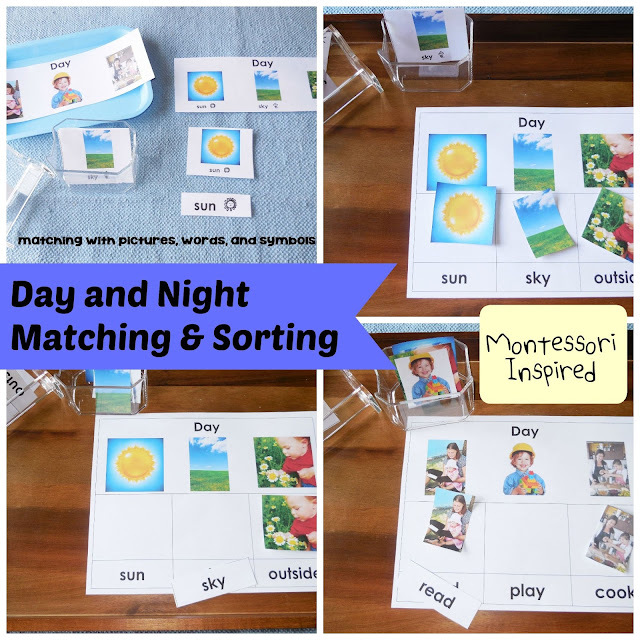 Subscribe to Confessions of a Montessori Mom! “From start to finish, this book is a gem. I can’t think of a mother who shouldn’t read it, whether you have a newborn or grown children, you will totally relate to these funny and heartwarming stories. This second edition includes 18 new essays from some amazing authors. Having bought the first Motherhood May Cause Drowsiness, I was delighted to read this new edition. One of my favorite quotes from the book: ‘Organic homemade cakes made out of kale and promises.' This book is funny and then funnier.”—Stephanie Marsh, mom blogger of We Don’t Chew Glass.